When packing entertainment items for our trip I tried to bring toys that would help my boys interact with the camping environment. We had no video games or screens as a rule. This rule also helps Mommy and Daddy to unplug and really enjoy a true break from reality. The only screen allowed is a cell phone kept in the van for emergency purposes only or when we are hiking for safety. I put all their toys in a big tub from Sam's Club and it goes in a shady spot out of the way of foot traffic near the fire or camp kitchen. The boys were responsible for putting everything before we go to bed. Clip Board with blank paper is a true must for camping outdoors with kids. You want blank paper so they can draw or journal about they are seeing. Encourage them to do leaf/bark rubbings of the trees on your site, or draw the animals they saw on your hike that day. Maps for each kids of the park you are visiting from front gate, there are usually free at State Parks. My kids LOVED these and took them wherever we went. Get several and don't be afraid to let them draw all over them. My boys found our campsite and drew on the trails we had hiked. Kids Binoculars for each child. We got ours for $3 each and I was so excited as they bird watched from our campsite. We also had an unexpected deer visit 300 yards from our tent and the boys got their binoculars out to see her better! Water Guns and a 5 gallon bucket, especially if it's summer. We brought 10 varying sizes of guns that we had leftover from a party and the boys were able to share with friends we met along the way! Scavenger Hunt/Nature Bingo- Put these on clipboard and you don't need to bring it on a hike per say, but the scavenger hunts be a good way to process at the end of the day. We went through our bingo and checked off after dinner each night. when we found them all the boys were given $1 to spend at the camp store. You can make your own or find online. 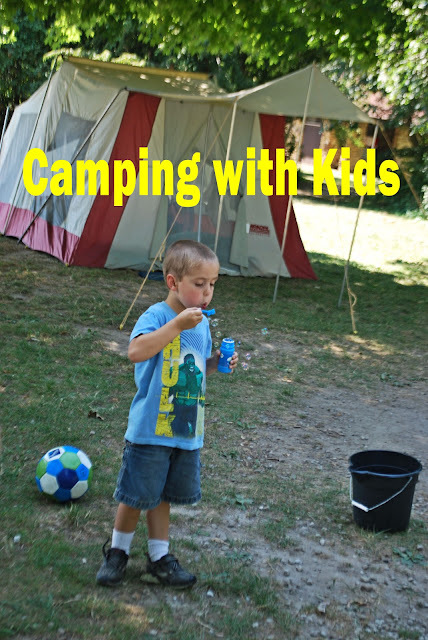 Camping with Gus has many free printables. Bikes and bike helmets. Call ahead to check skill levels and types of biking available. I love paved curvy trails, whereas my husband loves mountain biking, and our boys are only ready for straight, paved, and no hills. Glow sticks for after dark. You can get 5 glow bracelets at the dollar store and they are very worth it. They are also a good way to keep track of you kids as they play in the dark looking for for fireflies. Sports balls Be careful if you are in a high traffic site. Matchbox car/Animals. These can be played in a dirt track the kids make or on a fort they make out of twigs. My dirty boy playing in the sand outside our tent....he even had dirt up his nose. This is refreshing to read. So many parents rely on entertaining their kids with iPads and DVD players. We have 2 young boys(4 and 1)and are always looking for natural fun for the kids. My oldest last year was Pig Pen from peanuts! Good for you! Keep letting those boys get DIRTY! wonderful wonderful wonderful post!!!! I'm going camping with my littles and some borrowed littles this weekend so I'm packing up a big bin! thank you for sharing! Thanks for the great ideas. I'll use them when we go camping this summer. Awesome ideas! I especially like the idea of a Scavenger Hunt/Nature Bingo... that sounds awesome for the older children. And for my little one, I'm sure he'll love matchbox cars! Thanks for sharing! I would love to pin this to my camping board on pinterest but didn't see a button. This was great! I totally disagree with the sidewalk chalk. Sidewalk chalk is meant for sidewalks and road surfaces. Writing on trees or rocks doesn't always easily wash off in the rain, especially if it's got overhanging branches or rock above it. We had to get a team of people to volunteer to wash off a ton of sidewalk chalk graffitti at the base of cliffs in a climbing area in a nature preserve because there was overhanging rock and the chalk wasn't washing off. It's graffitti. It's unsightly. Kids should not be encouraged to draw graffitti on natural objects and need to learn to leave no trace when they go into the outdoors. I totally agree with the comment about sidewalk chalk. Most campsites don't have hoses and it's not easy to get that stuff off. I wouldn't want to camp in spot where kids have graffitied up the natural surroundings. Otherwise these are great ideas. We also keep packed in the camping gear: Bug/Butterfly nets, a plastic bug keeper & magnifying glasses. Jump ropes, paddles and tennis balls, balsa wood planes, little plastic animals (#1 toy! for both my DS & DD as tots),small plastic dishes for the dirt or water and a small metal gardening set for digging and raking the dirt. I also keep an art kit in the camping supplies. I have thick paper, water color paints, markers, glue, scissors, tape, ect.. I've found that nature makes them creative. Bubbles at a campsite are a no no. Interesting, good to keep in mind! Love this list. I also print off scavenger hunt lists for the kids. I am happy to help, have a great camping trip! Enjoy your family time!